The other day, I turned on the radio to a debate on the ethics on human genetic editing, prompted buy an international scientific summit on the topic recently held in Washington, DC. (No, I haven’t switched from business to medical ethics, but human genome editing definitely has a bearing on human survival and flourishing and has a business connection, so bear with me). Human genome editing, or genetic editing, refers to ‘editing’ of individual human genome, for example, by removing or altering genes that cause cancer or other fatal or debilitating diseases. For example, Sangamo BioSciences, a California-based biopharmaceutical company, is developing gene editing techniques to inactivate HIV receptors, with the potential of achieving resistance to the virus. There are other companies that also work on genetic editing techniques to prevent other diseases. Recent technological breakthroughs have made such editing increasingly feasible. In the radio debate, Margaret Somerville, professor at the McGill University’s Faculty of Law and a renown bioethicist with numerous honorary doctorates to her name, was arguing against human genetic editing, on moral grounds. What she had to say was so purely evil, that I have forgotten the name of his opponent or what he even said. Somerville’s argument is based on the mystical belief that the human genome has intrinsic value: it is good as it is, for its own sake, and therefore we should not tamper with it—no matter what beneficial human impact could be achieved. In essence, to carriers of genes for debilitating or fatal diseases, such as cancer, Alzheimer’s, or the immune deficiency syndrome NEMO, and to those who are prone to HIV, Somerville is saying: “That’s too bad, but you just have to accept your condition and go through the pain and suffering, or an untimely death—because that’s what you got in nature’s genetic lottery, and nature is not to be tampered with.” In other words, Somerville is placing the ‘untampered’ human genome above human survival and flourishing. What is scary is the hearing Professor Somerville gets. Why does Somerville get invited to speak at radio shows and elsewhere? Why do regulators and others listen to her? People listen because they share her ethical premise: that the standard of value is not human survival, flourishing and happiness, but self-sacrifice (in this case, for the sake of the mystical intrinsic value of the ‘natural order’). People listen because they have accepted the morality of altruism which demands that we sacrifice our life and happiness and dutifully obey ‘virtues’ dictated to us (such as respect for the ‘inherent’ natural order), without expecting any reward but accepting pain and suffering instead. When the likes of Somerville have the ear of the regulators, the development of technologies and treatments beneficial to human life get delayed or outright banned. Companies like Sangamo BioSciences and others that develop the research discoveries into commercially viable, effective and safe treatments to prevent debilitating genetic diseases, take enormous risks and invest vast sums of money. 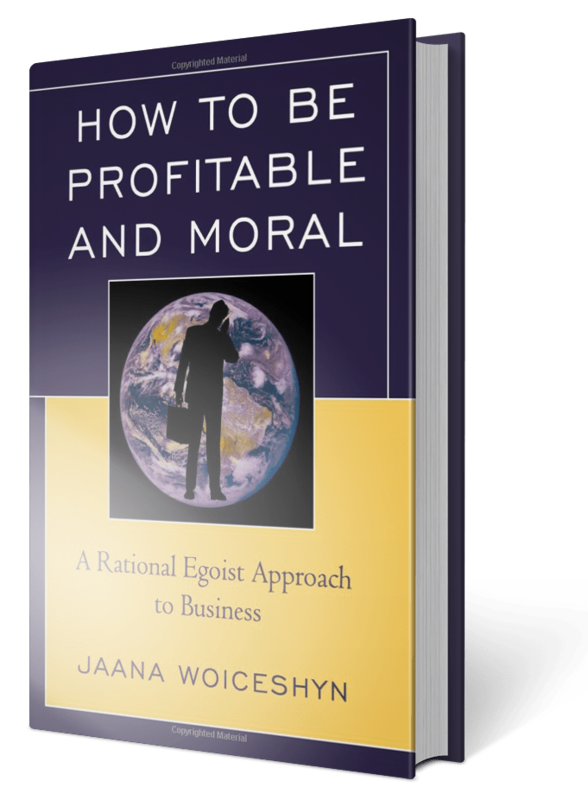 Preventing or discouraging their work by taking the incentive of profit away, harms not only them, but all of us, as human health and flourishing is a value whether we have defective genes or not. There are also scientists who lament that genetic editing has a negative ‘social’ impact because it currently is expensive and can therefore presumably only be afforded by the wealthy. My advice to them is: focus on scientific discovery and advocate privatization of medical research and health care, so that more money gets invested in research, and competition among the commercializing businesses makes genetic editing affordable and available to all. Companies seeking to reap return for their investment have an incentive to serve not only the wealthy but to reach the widest market possible. To achieve the incredible potential benefits of human genetic editing, we need to do three things:1) accept human life and flourishing as the standard value (and stop listening to the likes of Margaret Somerville), 2) privatize medical research, and 3) lift the government regulation from the business of development and sale of medical technologies (and return government to its only proper role: protection of our individual rights against initiation of physical force and fraud). Previous articleMark Zuckerberg wants to make the world a better place: Productiveness vs. charity?